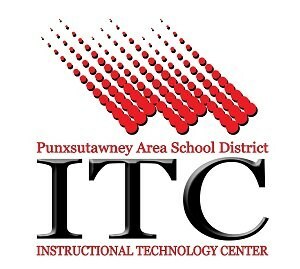 The Instructional Technology Department (formerly known as Learning Resources) is responsible for all computer, audio-visual, and library services in the Punxsutawney Area School District. Our name has been changed to better reflect the current role of technology in public education. The Instructional Technology Center is located at at the rear of the High School, 502 North Findley Street Punxsutawney, PA 15767.